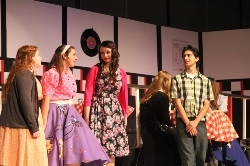 Lutheran South Academy's drama program focuses on Musical Theater, Modern Drama, and Drama for Worship. 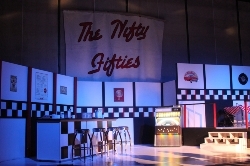 Annually, two productions are presented: a fall drama in the style of a "Black Box" theatre, as well as a Spring Musical. Along with drama classes, the curriculum also offers experience in technical theater, set design and building, sound and lighting engineering, and costuming. Wyatt Schultz has been involved with Fine Arts for over 40 years beginning in grade school and high school productions and continuing into adulthood through church and Community Theater. Schultz earned his B.A. degree in Education from Concordia College, St. Paul, MN (1978) and his M. A. in Educational Administration from Sangamon State University, Springfield, IL (1987). Mr. Schultz has served in six different Lutheran schools over the last 31 years of ministry in Missouri, Illinois, Michigan, Wisconsin, and now Texas. Currently, he is the director/producer of the high school fall drama and spring musical as well as the High School Ceramics teacher.